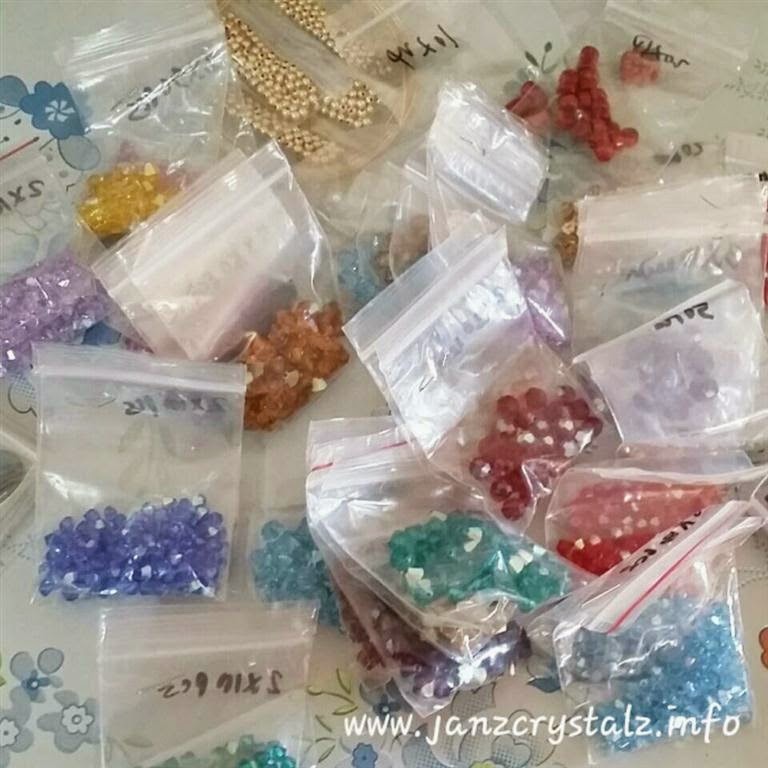 The materials are all here and I am in a panicked mode to finish all the orders before the 7th of December. We are trying to produce small items that are affordable that our clients can give as Christmas gifts to their family and friends. Good thing I already have a pair of helping hands in the person of my husband who is already doing well in jewelry making. In fact, he does the bracelets while I do the earrings because according to him, bracelets are easier to make than earrings. That is why I have no choice but to do the earrings which includes the hooks and loops, etc. myself. Nevertheless, I’m still thankful that he is already helping me in this endeavor. As always, every Christmas I received something form Ms. K my supplier. 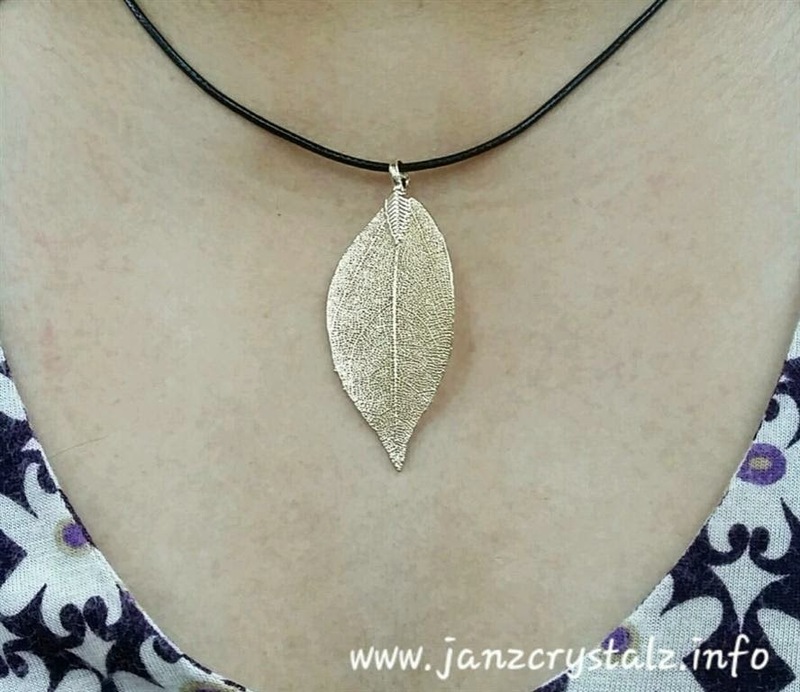 If last year it was one of her bracelet creations, this time she gave me a 24k gold-filled leaf pendant and accordingly it is a “leaf for wealth”. I’m not really a fan of big pendants, but last Friday I really did wear it. After all Friday is a wash day we can wear anything as long as it’s decent. See, it looks so lovely, right? Thanks Ms. K for this lovely gift! Nice :) Kami naman, we decided to stop receiving orders so we can really rest this December. Madalas na kasi ako magkasakit. Every Monday na lang, huhu. 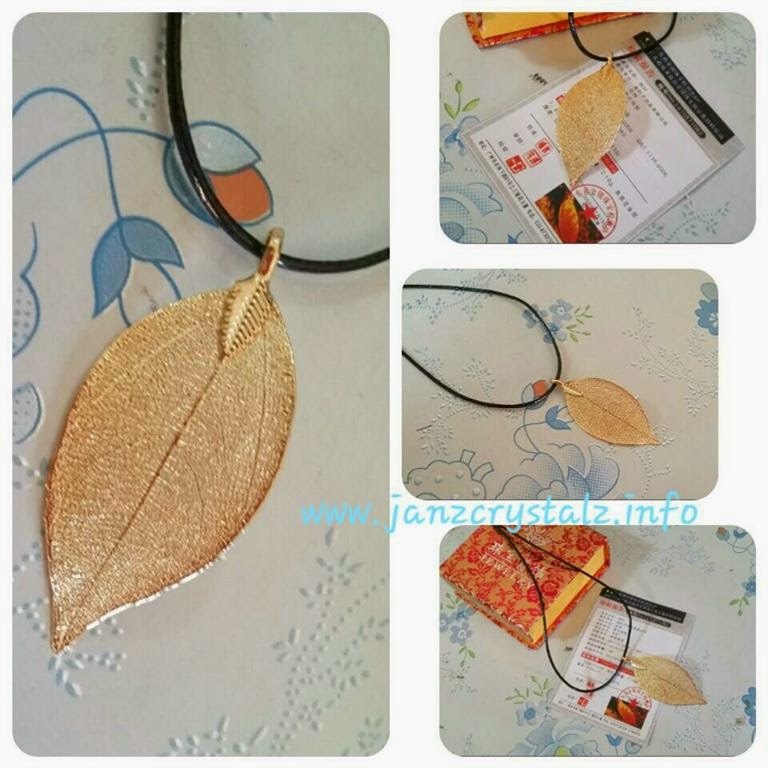 That is a beautiful gold leaf pendant! I am sure it's eye-catching and goes well with any dress or top since the design is inspired by nature. We stopped accepting orders in our shoppe last month to enjoy more our Christmas Vacation. That is a cute pendant. I remember the days I was into beads and I make my own earrings and bracelets.